Nicole Look Hong, MD, M.Sc. Fellowship, 2012, surgical oncology, Harvard University, U.S. 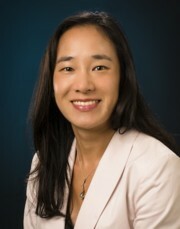 The focus of Dr. Look Hong's research is the improvement of cancer care efficiency through the use of economic appraisals and systematic evaluation of new technologies. She is also interested in the clinical evaluation of new techniques for tumour ablation in breast cancer. She has experience in quantitative economic studies and qualitative methodology. Elmi M, Nofech-Mozes S, Curpen B, Leahey A, Look Hong N. The cost of efficiency: budget impact analysis of a breast rapid diagnostic unit. Curr Oncol. 2017. Jun;24(3):e214–e219. Yeung C, Petrella T, Wright F, Abadir W, Look Hong N. Topical immunotherapy with diphencyprone (DPCP) for in-transit and other melanoma cutaneous lesions: an inaugural canadian series. Expert Rev Clin Immunol. 2017 Apr;13(4):383–88. Look Hong N, Clarke G, Yaffe M, Holloway C. The cost of accuracy: a budget impact analysis of whole mount pathology processing for patients with early breast cancer undergoing breast conservation. J Cancer Policy. 2016. 9:1–7.